The Spanish house at 2238 Malcolm Ave., LA CA 90064 received a price reduction last week of 14.9% or $157,000, down to $899,000. This asking price puts the home into a short sale situation, where the asking price is lower than the loan amount owed on the house. 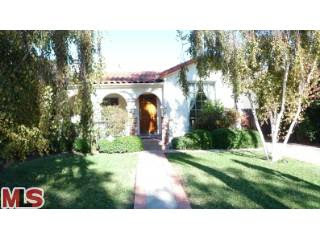 Listed on 2/13/09 for $1,056,000, this major price reduction is the first of the current listing period. According to the MLS, the home is a 3 bedroom / 2 bath, 1,471 sq ft home on a 5,400 sq ft lot.